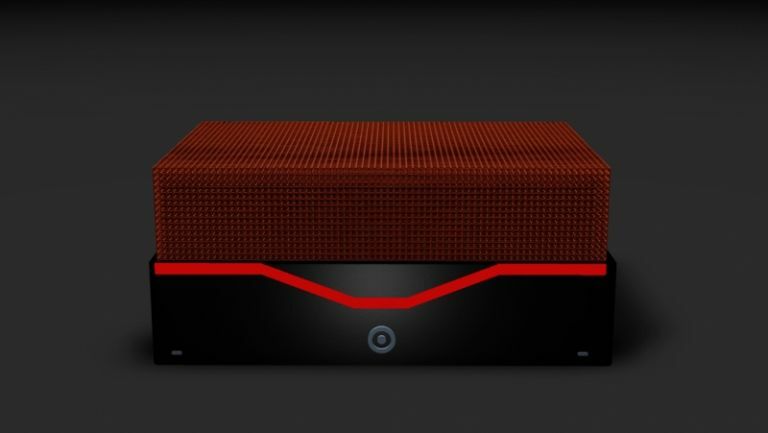 Dubbed 'the smallest high-end PC in the world,' Silent Power is a noiseless, super-charged computing beast whose creators are reaching out for funding to bring it to life. Not content with fans or liquid cooling, Silent Power instead opts for a copper foam that acts as a heat-sink for the computer, dissipating the warmth silently - hence the name. The creators say the Silent Power is small enough to fit in your hands, making it a perfect choice for LAN party enthusiasts. The minds behind Silent Power say they need just over £35,000 to start producing the device, and the computer's website shows £6000 funding thus far. A somewhat vague launch date of Spring 2015 is included. So what about the specs and the price-tag? Well, here's where it gets dicey. The machine boasts great specs for an incredibly low price - so low in fact we're not sure how they're doing it. For a mere £550, you'll get a completely silent miniature PC that comes packing Windows 8.1 64-bit, an Intel i7 processor, 8 gigs of DDR3 memory, 500GB of solid state storage, an NVIDIA GeForce GTX760 GPU with 2 gigs of dedicated v-RAM, 4 USB 3.0 ports, and HDMI connectivity. We're not joking. It's especially confusing since the company says it's purchasing OEM (original equipment manufacturer) parts like the CPU and graphics card externally. So no cost is saved through in-house manufacturing. When you actually start adding up the costs of the components, the Silent Power seems like a bewilderingly unprofitable enterprise. Here's a link to the site, although it's in German so be prepared for an iffy translation courtesy of Google. We'd love to believe this tiny, silent, high-spec, low-budget PC isn't just a pipe dream from Deutschland. All we'll say is, don't put it on your crimbo list just yet.